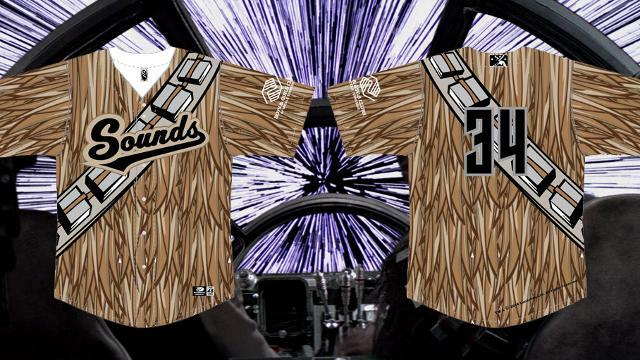 Star Wars Night and the Chewbacca jersey auction benefitting the Boys and Girls Clubs of Middle TN and Nashville RBI will resume on Saturday, August 23. All bids that were placed on August 9th are still considered active bids. If you think you hold the highest active bid for a jersey and have not heard from us, please contact Shannon Lapsley at (615) 690-4487 ext. 153 before August 23rd for more information. The silent auction for jerseys will resume at Fan Relations when gates open on Saturday, August 23, at 5:35 p.m. and continue until the end of the 6th inning, when all bids will be final. Please note numbers and jersey sizes are subject to change.